Death is uncertain yet definite. Sooner or later, everyone who is born is meant to die. This thought is extremely terrifying for most of the people and yet it is a harsh reality. It is a mature thing to embrace the reality and face it. Also, the faster you face this reality, the easier it is to pre-plan everything. Most people make arrangements to ensure that their family has consistent financial stability even after their death as they do not want their loved ones to suffer even after their death. It is a way to assume the financial responsibility of your funeral services: Irrespective of whether you are leaving behind a large sum of money for your loved ones or not, the funds are not going to be immediately accessible after your death. 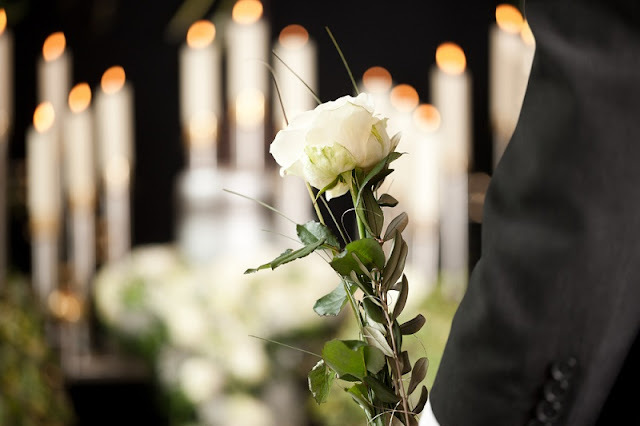 So, to relieve your family of the financial burden, you can shoulder the responsibility beforehand and make all the arrangements of your funeral services. For financially independent and self-reliant people who do not like to depend on anyone for anything, this is a great option. A way to ensure you get the type of funeral you want: Many people have strong preferences regarding how their remains are disposed. To ensure your own words are inscribed on your tombstone just the way you want it, get the right epitaph on your headstone, the right background music, the reading of your choice at your funeral, or your choice between burial or cremation, all of these can be pre-defined clearly if you opt to pre-plan and organise your funeral services by yourself. Some people even have preferences in the coffin type. You can even define whether you want a funeral ceremony or a silent burial. Save your family from rising funeral costs: With inflation seeping into every commercial business, funeral services are not far behind. The costs of funeral services are increasing every year. This means a funeral service today will cost lesser than a funeral service after 5 years. This way, pre-planning the whole thing can save your family members a lot of money. This is one of the most meaningful reason for preplanning your funeral. Your family can enjoy a meaningful funeral without any fuss: A funeral is an important event for any family for grieving the loss of the loved one. If you have already planned everything beforehand, they will know what exactly has to be done and it saves them from the confusion and the guess work. This way, you know your wishes are being honoured and your family members can grieve in peace. With everything planned out, your family gets a sense of closure and begin the healing process from the loss. The family benefits by recovering emotionally and is happy on the social front as they know that they are honouring the life of their loved one with a fitting ceremony and by giving them an apt send off. Also, it is difficult to make the funeral a good success as it needs to be when planning is done within a short time. All these benefits are so prominent that you will surely think about making pre-preparations for your funeral services and rest assured that even in your absence, your family does not face any difficulties.